Nursing Made Incredibly Easy! - Philippine distributor of magazines, books, journals, etc. Nursing made Incredibly Easy! is based on Lippincott Williams & Wilkins' popular and successful Incredibly Easy! 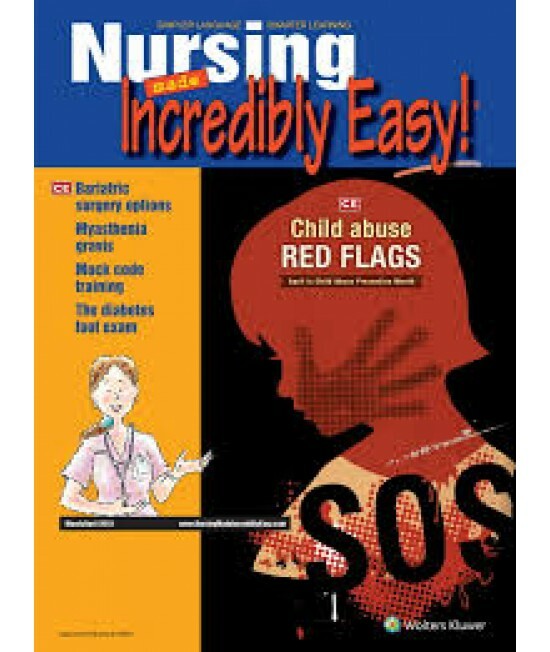 book series for nurses. The emphasis of Nursing made Incredibly Easy! is on breaking down challenging clinical concepts—the ones that are often difficult or confusing to grasp—and presenting them in a refreshingly original, easily understood, and engaging format. The tone is lighthearted, but never simplistic, to make learning fun and effective. Clinical artwork mixed with humorous line drawings illustrate and reinforce key points. Articles are contributed by experienced clinicians, ensuring that content is based on sound clinical principles and hands-on expertise. At least two continuing-education articles are offered in each issue.